My name is Sean McCann, and I am a PhD student in biology at Simon Fraser University in British Columbia, Canada. I am a passionate amateur photographer and a lover of the outdoors. I grew up not far from here in Victoria BC, on Vancouver Island, where I also did an undergraduate biology degree at UVic. My background is in entomology, and I have completed a masters degree in Florida on mosquito reproductive ecology. This blog will be a place to show some of my photos, communicate my research and my insights, and to reach out to the public at large. For some images that I shoot, I will try to give some details to how the shots were achieved, especially if they used any unusual techniques. 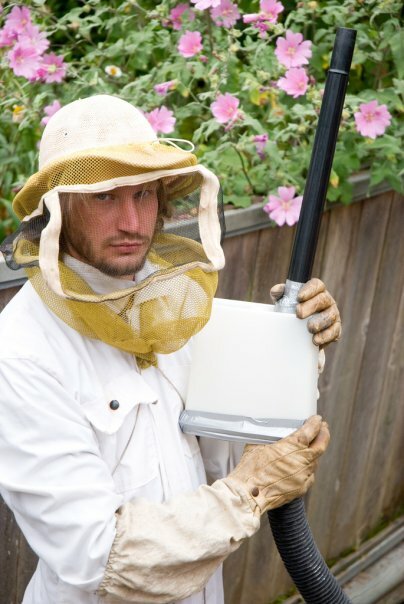 Here is a picture my brother took of me a few years back, with a vacuum device for collecting yellowjackets from their nest….I have much better techniques now! Somewhere to the right will be a link to my flickr photostream where you can see a selection of my recent images. I will also try to maintain a blogroll, for pages that catch my fancy and inspire me. As for what else I will put up, well I am not too sure. I am hoping for suggestions! As an aside, Ibycter (in the url and blog title) refers to the species that I study, the Red-throated Caracara, a Falconid found from Central America to southern Brazil. Expect to hear much about this species and its environment in the future. 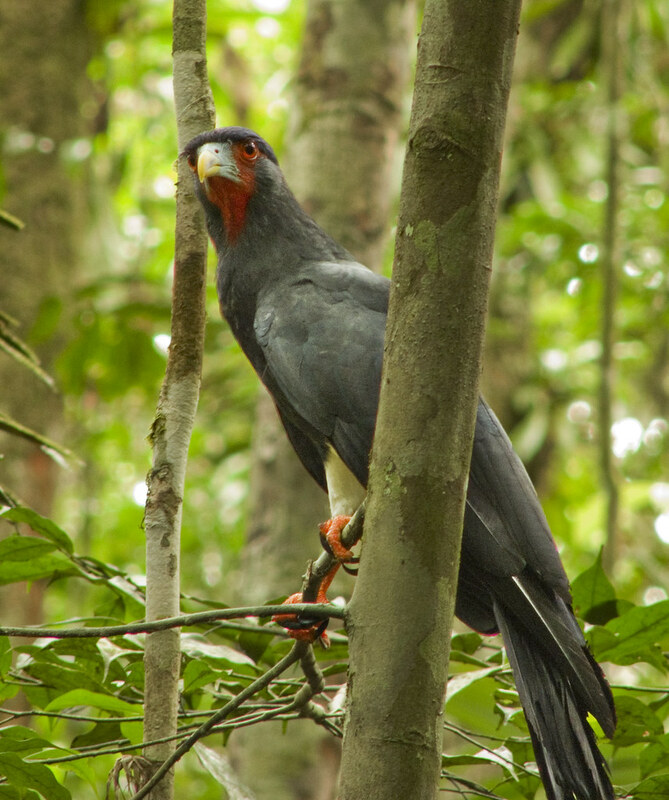 A Red-throated Caracara, in the rainforest of French Guiana. This was shot with a Canon S5IS compact superzoom in 2009. This is an inspired and profound site. I am so thrilled to know my friend Peggy has a son with such an eye for the beauty of the natural world and for things that really matter. Thanks for the kind words! I hope to create more interesting posts soon. Love this site here, Sean. Thanks.